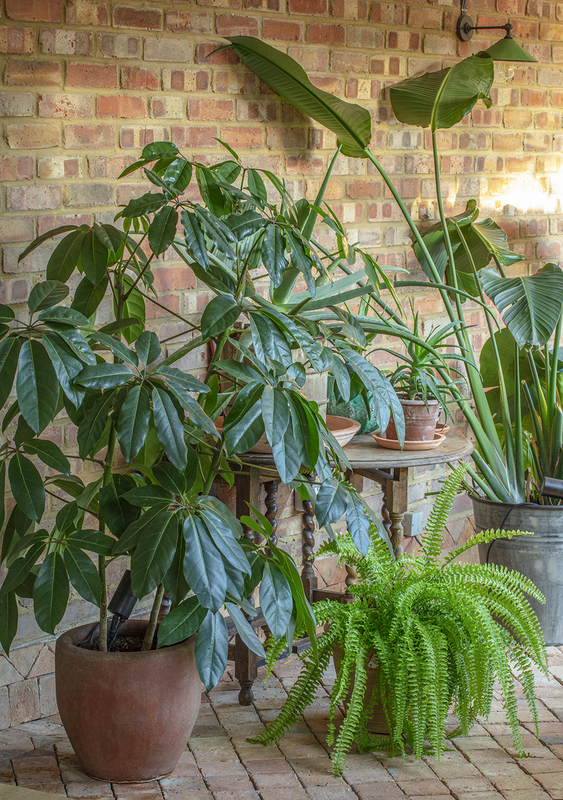 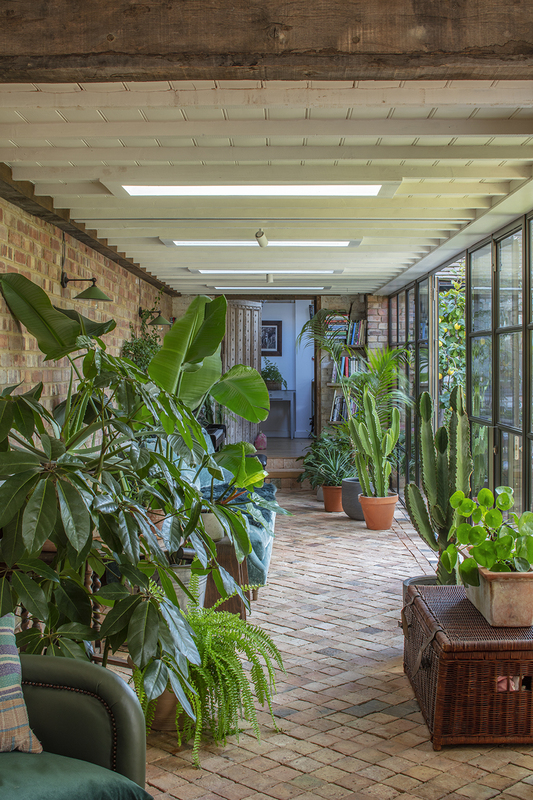 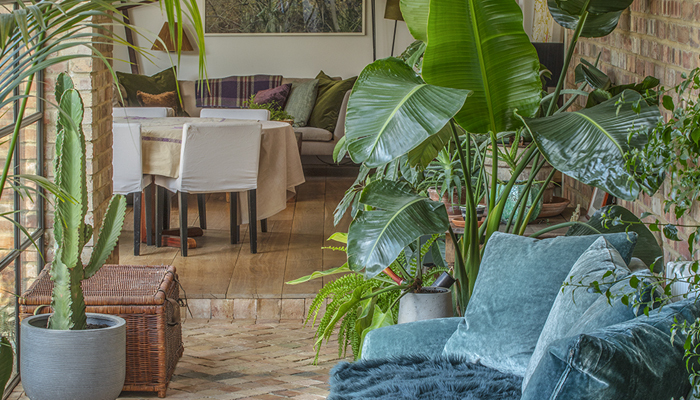 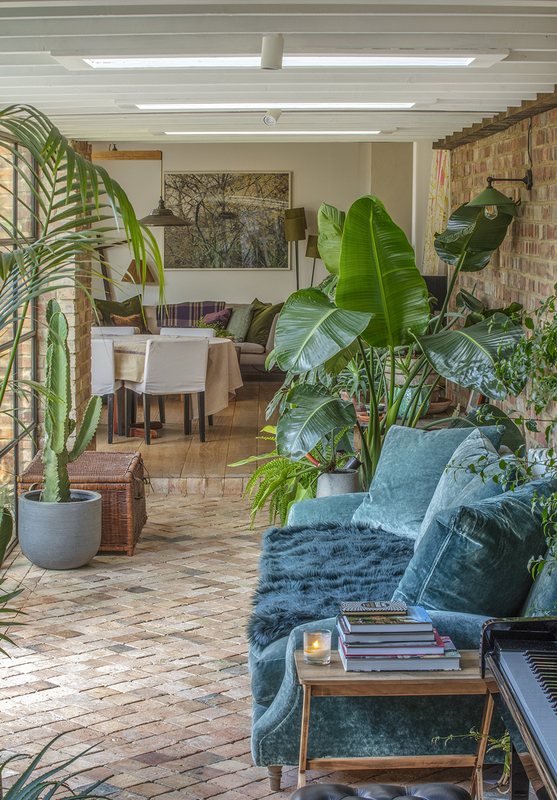 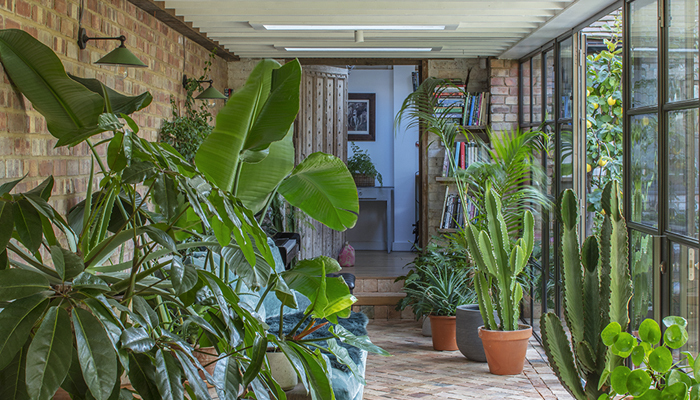 Lush and green, a place to sit inside enveloped by tropical plants while looking out onto the outdoor space, blurring the boundaries between inside and out. 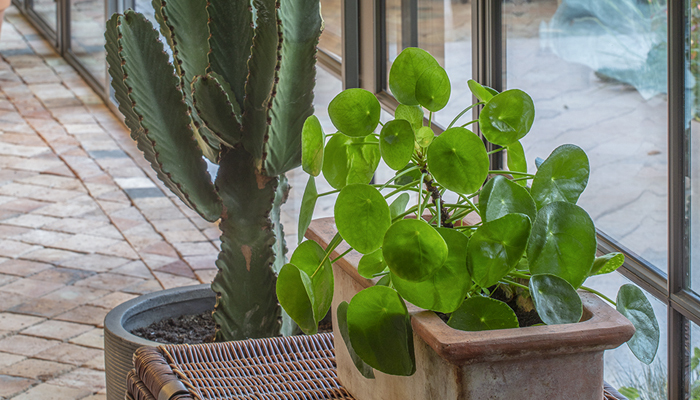 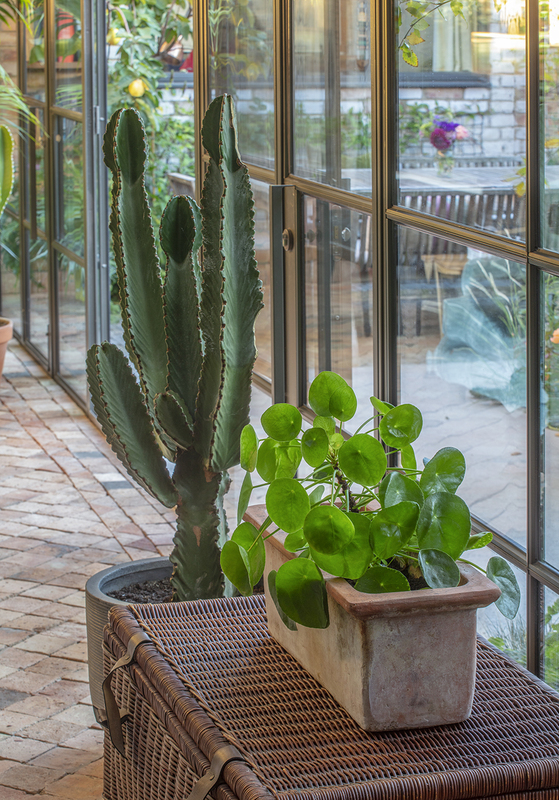 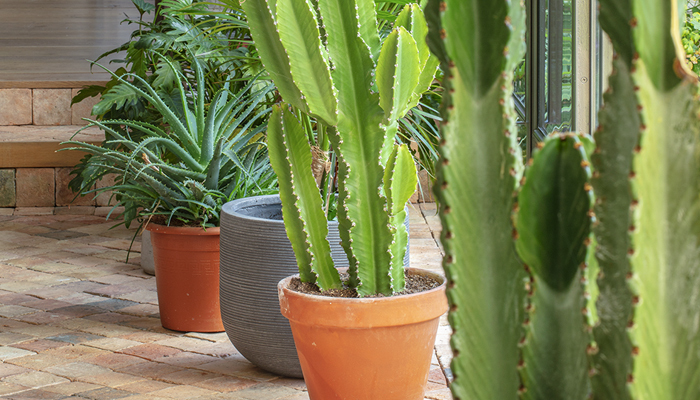 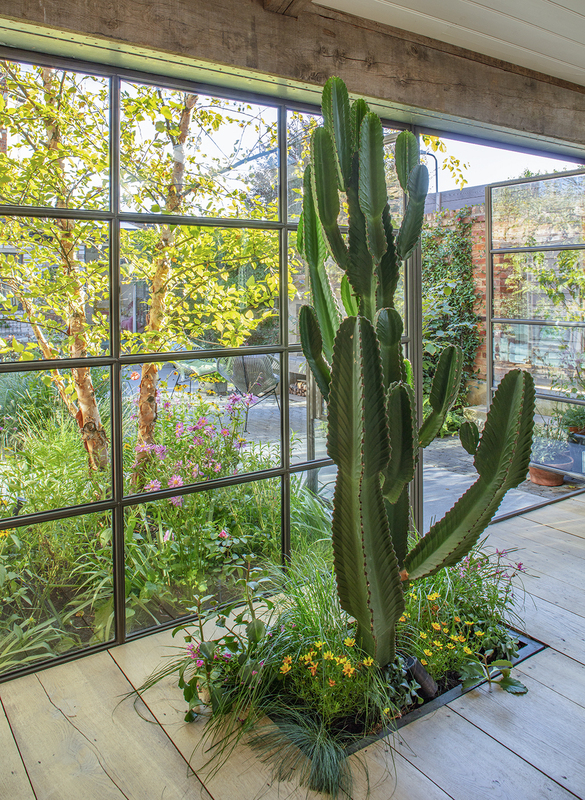 The planting starts inside the house with a mature cactus in a bed of grasses, with pink and yellow flowers blooming. 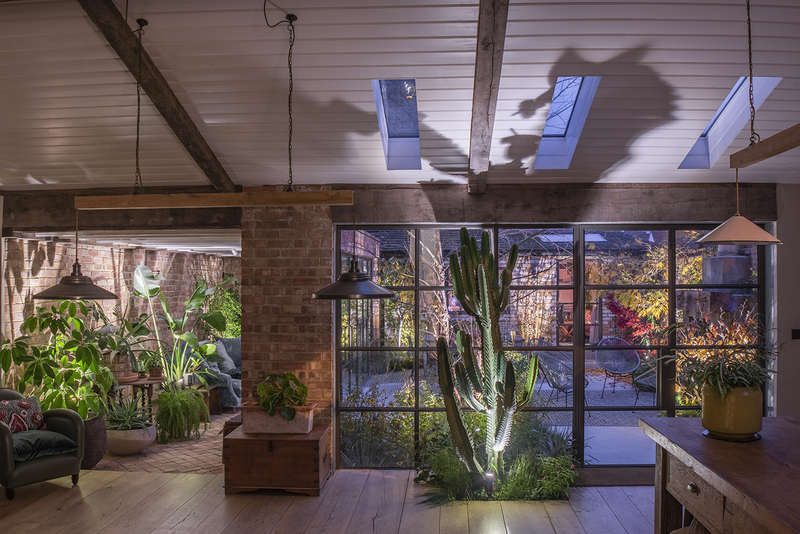 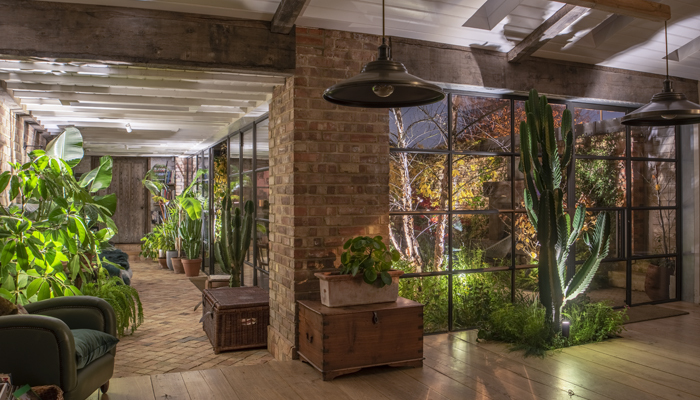 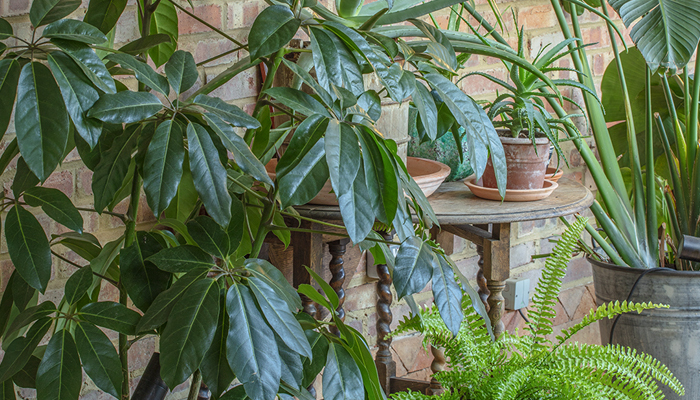 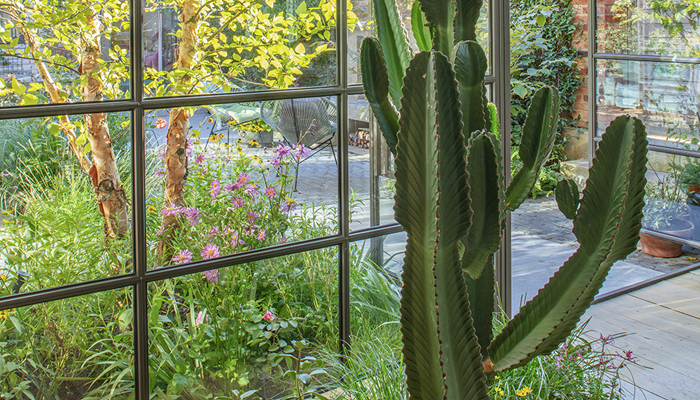 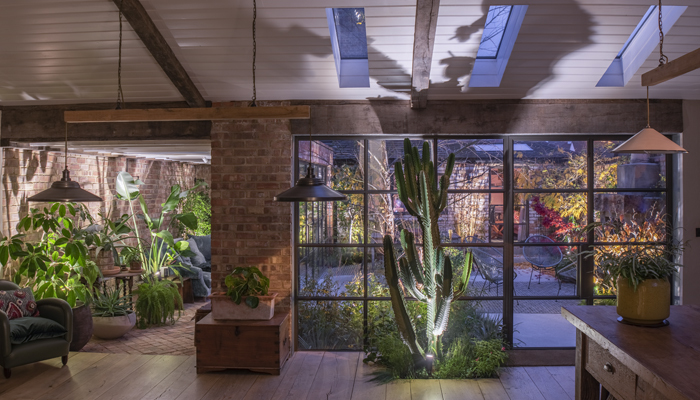 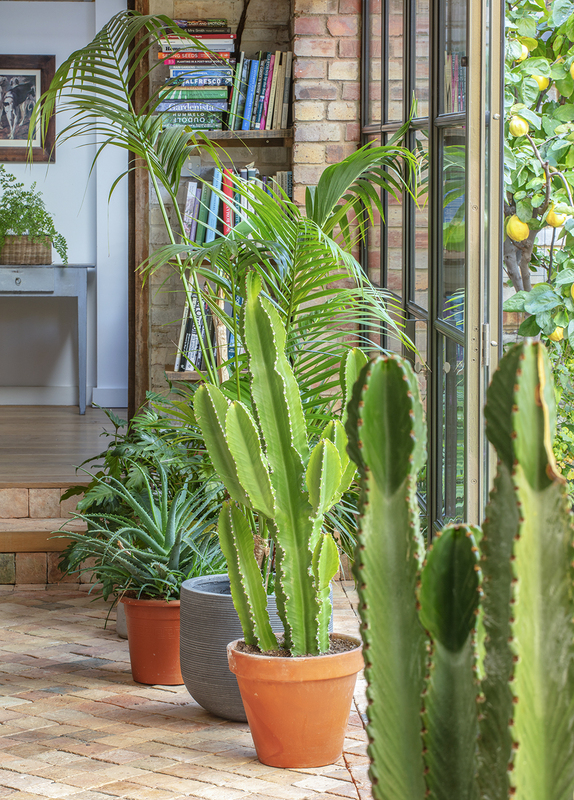 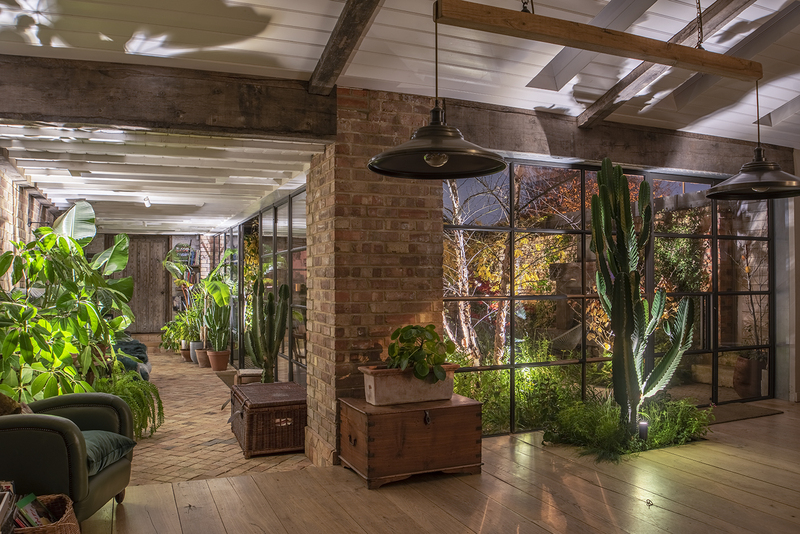 The outdoor garden mirrors this planting style seen beyond the glass pane connecting and fusing indoors with outdoors.